Last year potheads in the states of Colorado and Washington had their reason to celebrate – they voted in a law that makes it perfectly legal to possess, smoke and trade marijuana. Now, however, the marijuana legalization movement got a boon in Canada – a dedicated activist just won $25,000,000 jackpot on a lottery, and pledged to give one mil to the movement. 4/20 celebrations were all sponsored by this lucky guy from the British Columbia. Bob Erb was a strong supporter of the cause since the early 70's. He says that achieving his aim of legalizing cannabis would mean more to him then hitting the jackpot, hence the decision to support the campaign. 40 years of playing the lottery and struggling to elevate MJ to its proper place – if he managed to succeed on one, why not on the other? On and again, Erb is repeating that it is time for a change on cannabis – he fought for social justice and human rights for decades and he is not about to stop “just” because he just won 25 million dollars. Many lottery winners quit their daytime job and enjoy the rest of their lives under a coconut palm tree. Not Bob Erb. After spending his whole life in active cannabis resistance movement, he sees the situation more as an additional reason to act. Now that he has all the resources he need, campaigning for a legal smoke could be more effective. In 2001 he unsuccessfully ran in the British Columbia provincial election from the Marijuana Party, as well as for a mayor of his hometown of Terrace. Now, with bunch of money to spent on the campaign, he might just reconsider and start again – but with higher stakes. He has his eyes on the national parliament. 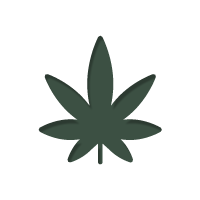 Next Canadian federal election could therefore see a well funded comeback of the Marijuana Party (or simply a Bob Erb movement), with a single, clear aim – regulating safe access for good quality marijuana for all adults that want it. By now already a number of organizations were named as the beneficiaries of Bob Erb splurge: NORML Women's Alliance of Canada, NORML Canada, Sensible BC, Stop the Violence BC and the 420 rallies. On 4/20 millions of people around the world advocated for reform in the field of cannabis. With some luck, same time next year Canadians, just as their neighbours from Washington, will be in for the celebration.